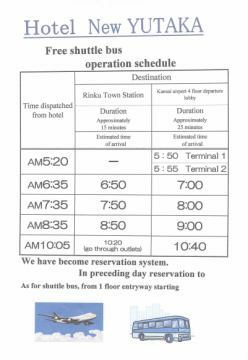 Kansai International Airport easy access.There is a free shuttle bus. 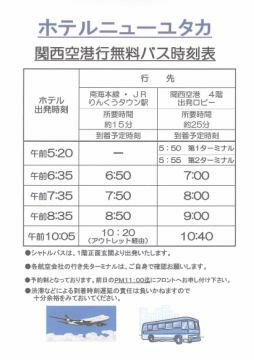 There is a free transfer to Kansai International Airport. ●You can use it widely from your stay to meetings, workshops, exhibitions and banquets. 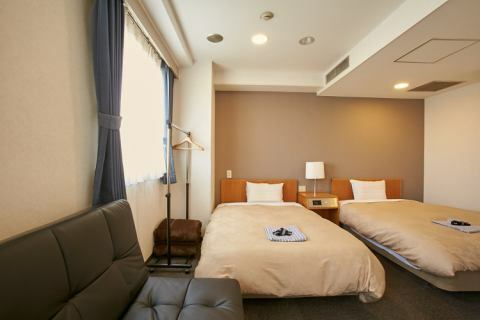 ·Kansai International Airport Nearby, please use before and after a business trip for the night before and / or after the trip. 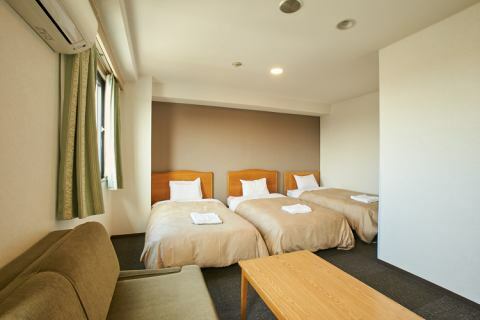 A large parking space is convenient when coming by car or sightseeing bus. It is also used by Osaka University of Health and Sport Sciences students. Yutaka Group supports youth and adult sports promotion. ●Special rates are also available for various sports organizations. 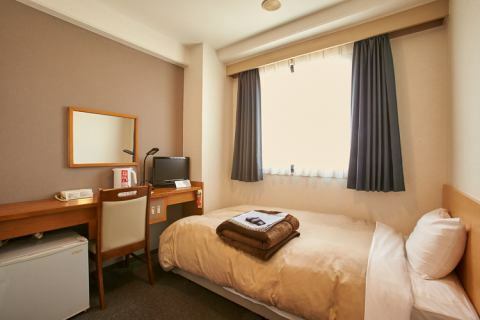 ·Dinner & breakfast included from 6,500 yen (including tax). ·Please bring your yukata / toothbrush. 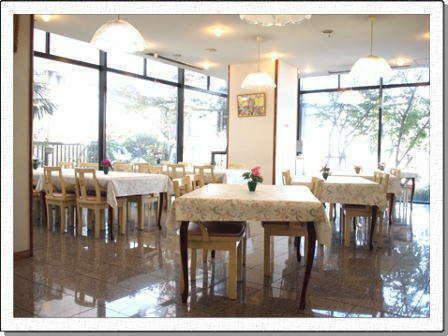 ·We will respond to consultation about the contents of meal. ·We can arrange bento boxes. ·There is a pick-up service until the match venue. 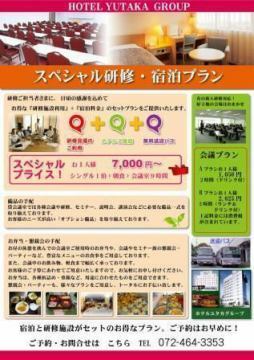 ·For details, please contact the reservation center (072-464-3353). Dinner will be booked up to the day before. The menu for dinner will be changed daily. 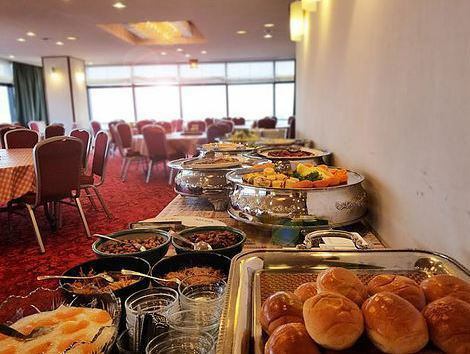 Buffet breakfast is served at the first floor restaurant. Dinner will be prepared by reservation. 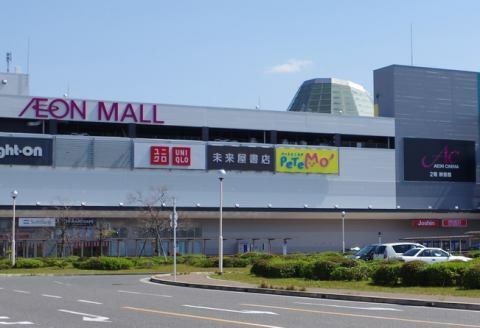 ★Please wait at Izumisano Station, east entrance, at the general car landing area on your right. 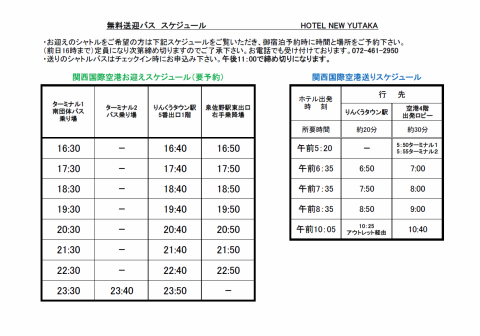 Please gather in the lobby 5 minutes before departure the next morning. 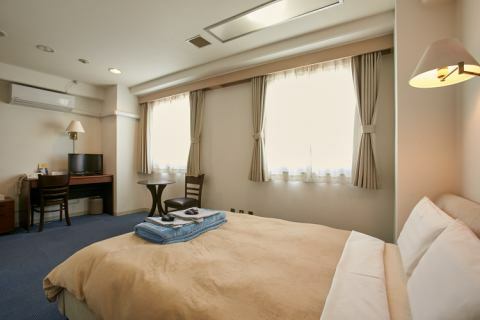 In addition, there may be via series affiliated hotels.